Saw this inside a book at the Met Museum during my NYC trip and thought it was too funny so I wanted to share it with you. 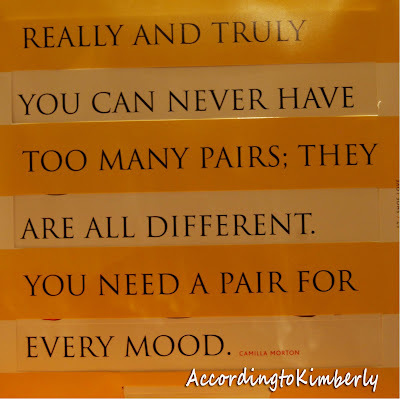 According to this saying, I have a lot of moods (shoes). Doesn't every girl?